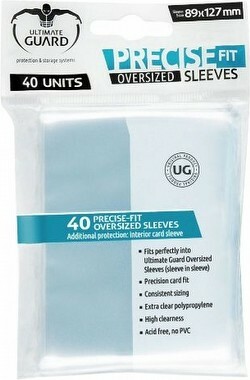 This item consists of 1 Ultimate Guard Precise Fit Oversized Sleeves pack. 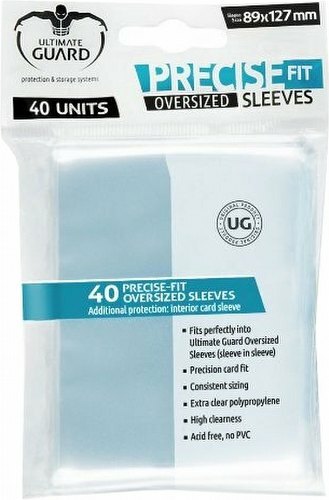 Each pack contains 40 sleeves that fit perfectly into Ultimate Guard Oversized Sleeves. Acid free, no PVC. Extra clear polypropylene.